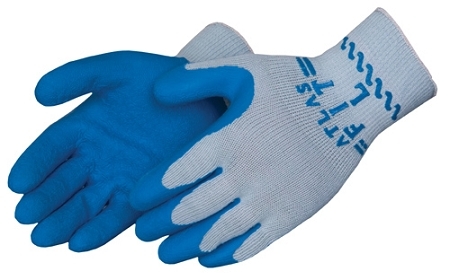 Showa / Best / ATLAS Fit® gloves. One pair. 10 gauge, grey shell, blue latex dipped palm and fingertips. Great glove for a variety of work!